Most models have received some updates for 2016, and the RC is no exception. The year 2016 sees the introduction of two brand-new models in the range. First, there’s the R 200t featuring a four-cylinder turbocharged unit and an RC 300 using the same 3.5-liter V6, located just below the RC 350 regarding performance and price. The F Sport version we will be discussing later on now gets a limited-slip differential and performance dampers as standard on the turbocharged 200t but optional on the RC 450 F Sport. The Lexus Enform Service Connect has also been introduced as Lexus’ all-new infotainment feature, and it’s available throughout the entire lineup. 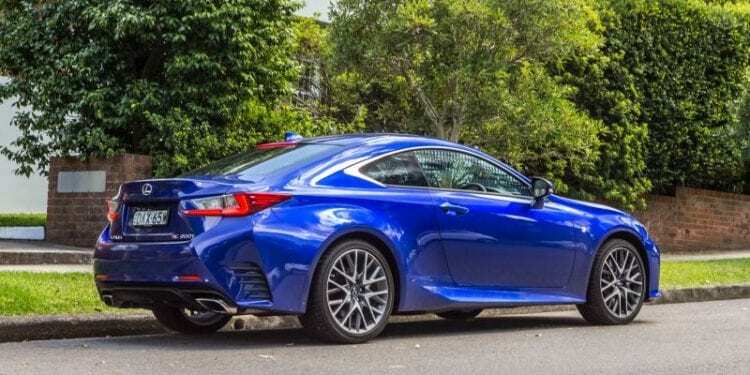 The RC is Lexus’ luxury coupe entry, and as such it’s based on their IS sedan. It’s a direct rival to the BMW 4-Series, a car which is built on the 3-Series, a vehicle the IS competes with. This segment is particularly competitive at the moment. There are a lot of great offerings from various car manufacturers not just the German ones, making standing out here a real hassle. Thankfully, the RC does have a few things going for it right from the get-go and can compete against major players. For starters, there’s the look. It’s not just a large deviation from the previous generation, but a lot more unique than any of the Germans for instance. So okay it may not be as pretty or as elegant as a C-Class for example, but when it comes to the wow factor, it’s up there. It’s got a standard coupe silhouette, but there are lines and angles all over the place making it quite aggressive. Let’s start with the front fascia. The headlights are extremely aggressive and angular, with a sort-of two piece design. They get narrower as they approach the massive grille. Speaking of the grille, it’s a large, one-piece design opening which incorporates the actual grille with the logo and the lower part for cooling. It may not be as visually appealing to the eye as a nicely sculpted BMW grille for instance, but it’s a head turner. As an entry-level luxury coupe, the RC lacked a few things at launch. Namely, it only had one engine choice. Lexus detected the flaw and were quick to fix it. So now, we have a selection of three RCs to choose from, all varying depending on the engine but more on that later. They are the RC 200t, RC 300 and the RC 350. The equipment, both standard and optional, is similar to all models, save for a few exceptions of course. As standard, you get 18-inch wheels wrapped with all-season tires, LED headlights, LED taillights, keyless entry, and ignition, selectable drive modes, heated mirrors, a dual-zone climate control (automatic of course). Furthermore, there are a rearview camera, a power adjustable driver’s seat with 10 settings, a passenger one with 8, leatherette premium vinyl upholstery, heated seats for the AWD model and a 60/40 folding rear bench. 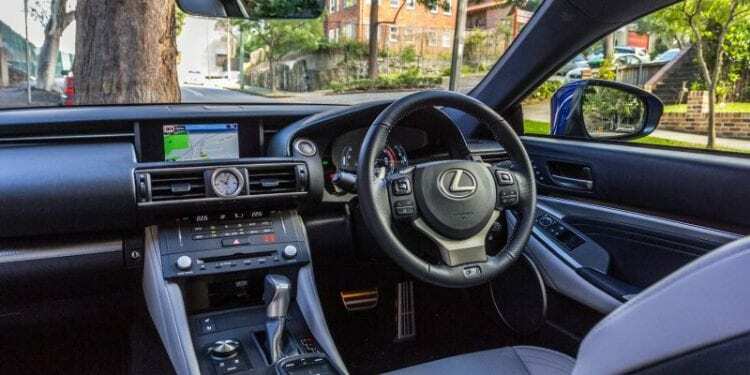 The standard technology is consisted of Bluetooth phone connectivity as well as audio connectivity, a great 7-inch display with voice controls, a crystal-clear audio system with ten speakers, HD radio, satellite radio, an aux jack and USB connections. The Lexus Enform Service Connect is standard too, giving access to the vehicle’s status and any maintenance alerts through the application on your smartphone. The F Sport package adds mostly appearance items such as a mesh grille and a special front fascia, but some more functional upgrades too. Upgrades like 19-inch wheels with all-season tires for the AWD model and summer ones for the RWD are available. There are adaptive sport suspension dampers, better front brake pads on the rear-wheel drive RC and even sportier seats to hold you in place better. Perforated leather is standard as well and so is a different, unique instrument cluster. The standalone options are a power sunroof, variable-ratio power steering with matching four-wheel steering (only on the RWD model), a limited-slip diff for a sportier feel, adaptive cruise control and of course sport dampers. No matter what trim you choose you will be getting an impressive list of features, and this vehicle truly deserves luxury badge it has. Engine wise, the RC 200t has a 2.0-liter turbocharged four-cylinder developing 241 hp and 258 lb-ft of torque. All that power is sent to the rear wheels via the eight-speed automatic gearbox. The 200t manages to return 26 miles per gallon on the combined run, or 22/32 mpg for the city and the highway respectively. The other engine choice is the RC 300. It’s got a 3.5-liter V6 developing 255 horsepower and 236 pound-feet of torque. Sadly, it only comes as an all-wheel drive vehicle without the option of RWD. It’s got a more conventional six-speed auto as opposed to the eight-speed in the 200t, so it gets slightly worse fuel economy at 21 mpg on the combined run. 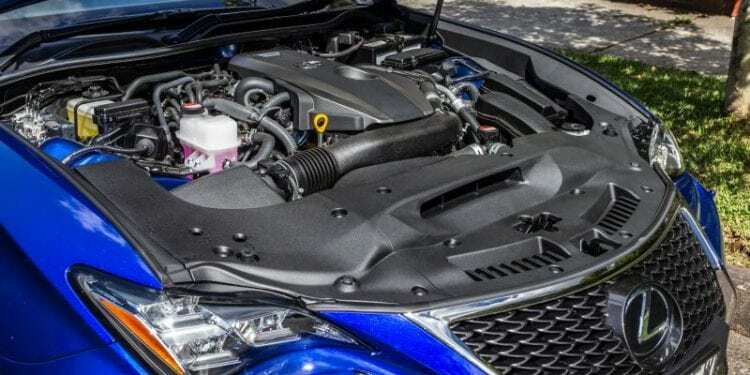 The last engine, or variation, of the RC, dubbed the RC 350 uses the same 3.5-liter V6 but in this form developing 306 horsepower and 277 pound-feet of torque. It gets the newer eight-speed box coupled with the rear-wheel drive system in standard guise, but all-wheel drive is, of course, optional since it is the flagship RC model. Mind you; the all-wheel drive version uses the six-speed auto, so just remember that if you’re planning to buy the all-wheel drive version. It returns 22 mpg in RWD guise and 21 mpg in AWD configuration. Truth be told, all engine choices are great, but we’re still very fond of the smallest, turbocharged 2.0-liter. It’s surprising how fast it feels. It may lack 60 hp on the RC 350, but it’s only 15 torques behind. 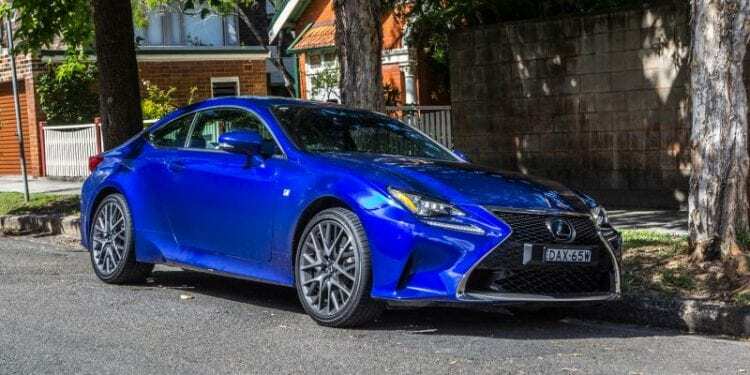 Couple that with the weight savings it offers over the RC 350, and you have a car that’s as fast, if not quicker in some cases. A straight line will see the RC 350 take it of course, but we’d argue the 200t is faster on the twisty roads and through corners. The way in which it carries its speed is astonishing; the 350 doesn’t have a chance. It’s agile and nimble, both traits you want in a car such as the RC. Prices start at around $40,000 for the base RC version. We recommend getting the F-Sport package as it’s really good. It will cost you a few grand more, but it is well worth it. Don’t bother getting the higher V6s unless you do a lot of highway cruising but even then, the 2.0 unit is more than enough. 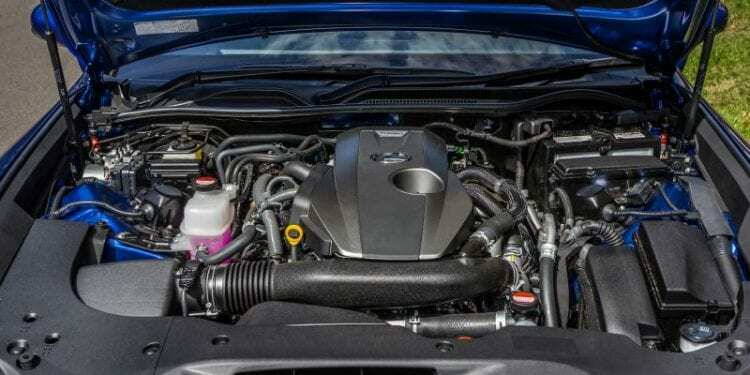 With the upgrade to the larger engine, you will not get much regarding performance so think about it before you decide to get it.